Guns N' Roses is an American hard rock band from Los Angeles formed in 1985. The classic lineup, as signed to Geffen Records in 1986, consisted of vocalist Axl Rose, lead guitarist Slash, rhythm guitarist Izzy Stradlin, bassist Duff McKagan, and drummer Steven Adler. Apart from hard rock they are also associated with heavy metal. 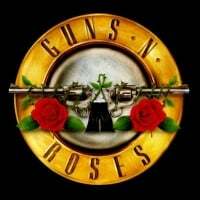 They are best known for their album ‘Appetite for Destruction’ and songs like ‘Sweet Child O’ Mine’. Guns N' Roses has been credited with reviving the mainstream popularity of rock music, at a time when popular music was dominated by dance music and glam metal. Its late 1980s and early 1990s years have been described as the period in which the group brought forth a "hedonistic rebelliousness" reminiscent of the early Rolling Stones, a reputation that had earned the group the nickname "the most dangerous band in the world". The band's classic lineup, along with later members Reed and drummer Matt Sorum, was inducted into the Rock and Roll Hall of Fame in 2012, in its first year of eligibility.